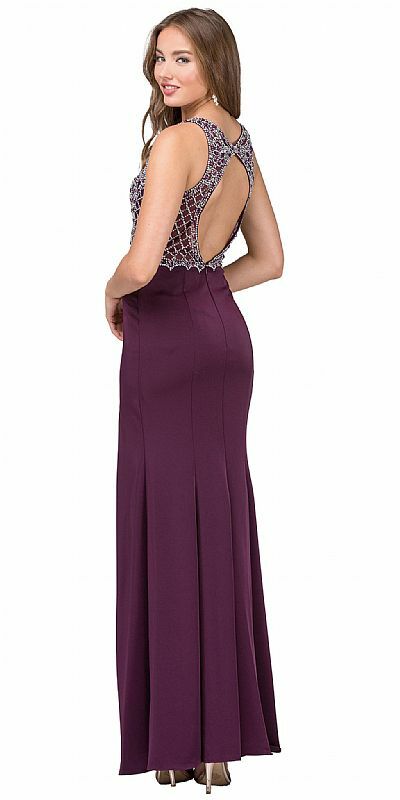 Rhinestones Mesh Top Keyhole Back Long Prom Dress. Sleeveless sheer mesh bodice is embellished with beads & rhinestones having a boat neck. Fitted polyester satin skirt has front side slit & a big keyhole at the back. Bra cups included with this 62" long dress. Imported.